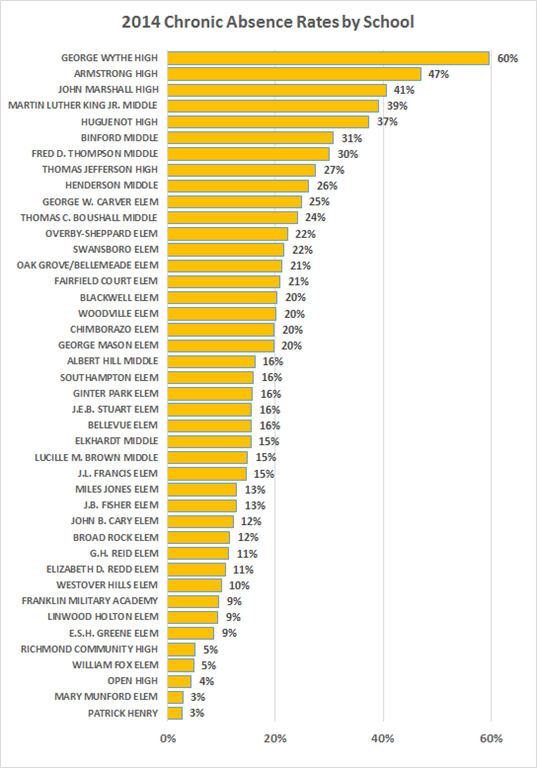 WaPo yesterday has a piece on a UVa truancy study that is based on USDOE’s 2014 “civil rights” database. 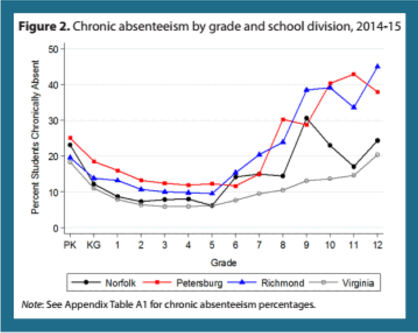 Note: The Feds count as “chronic” an absence of fifteen or more school days, whether excused or not. 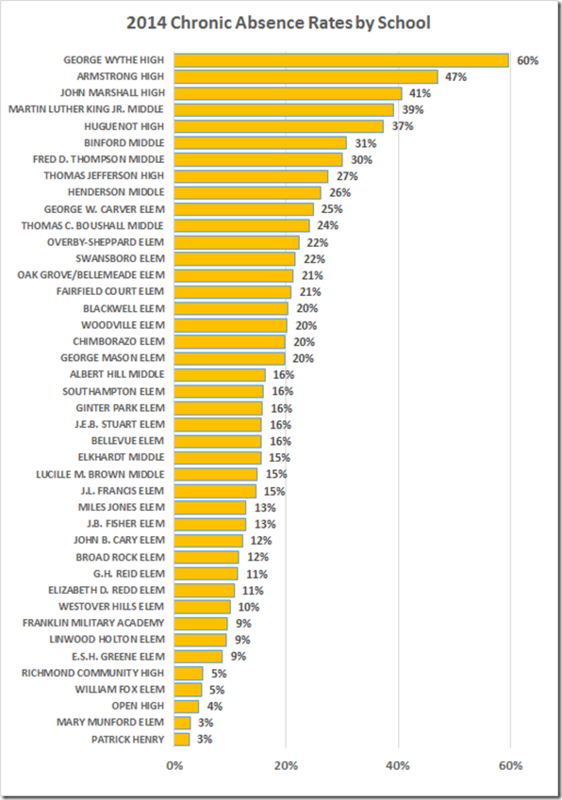 Fifteen days is 8.3% of the statutory 180 day school year. 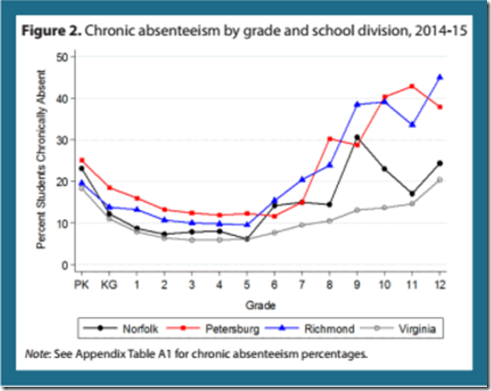 Do you wonder that Richmond has stopped posting its truancy numbers and, particularly, the numbers of court cases that are required by state law after the seventh unexcused absence? The Moving Finger Writes . . .